One 14 karat cluster ring. 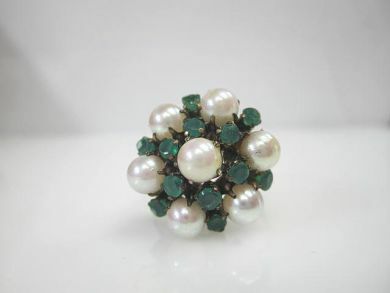 Seven cultured pearls. Twelve round facetted chrysoprase (1.10 carats).